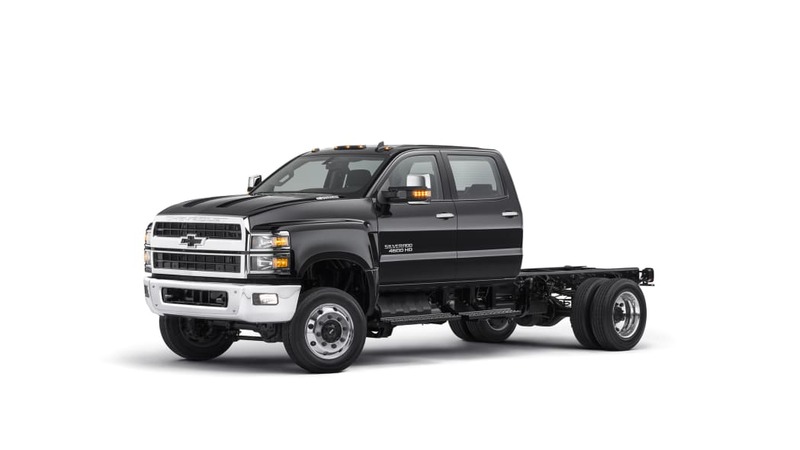 All 4500HD, 5500HD and 6500HD models have the 6.6-liter Duramax diesel. 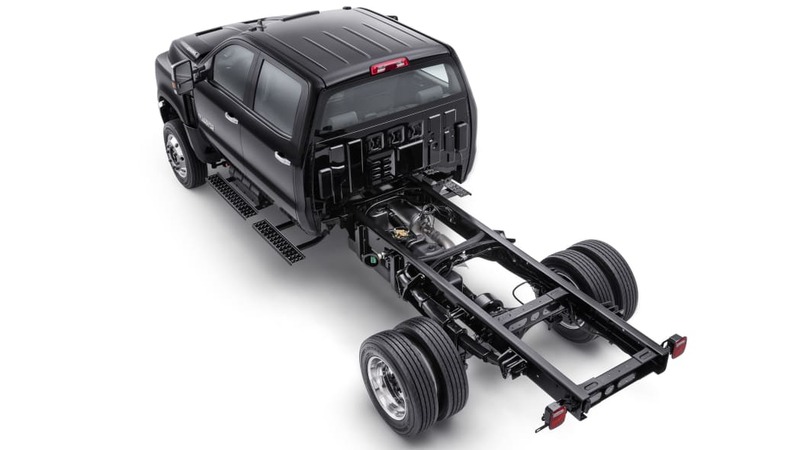 Chevrolet has announced official pricing for the chassis cab versions of the new 2019 Chevy Silverado 4500HD, 5500HD and 6500HD commercial trucks. 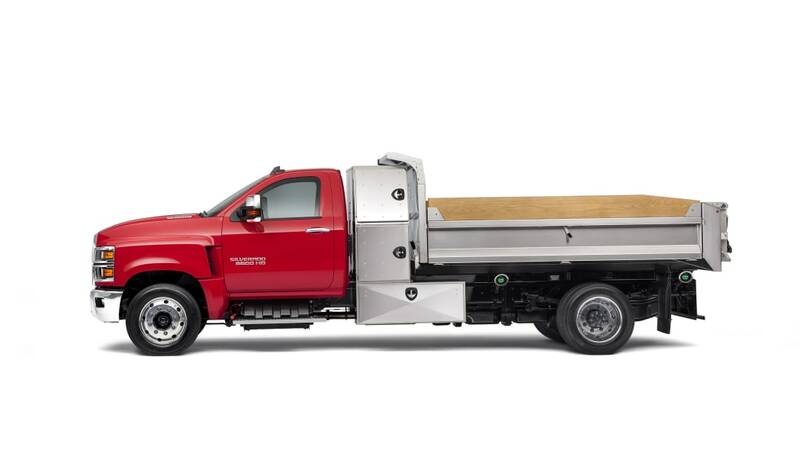 Prices for the trucks start at $48,495, including destination charge – but excluding taxes, title and dealer fees. 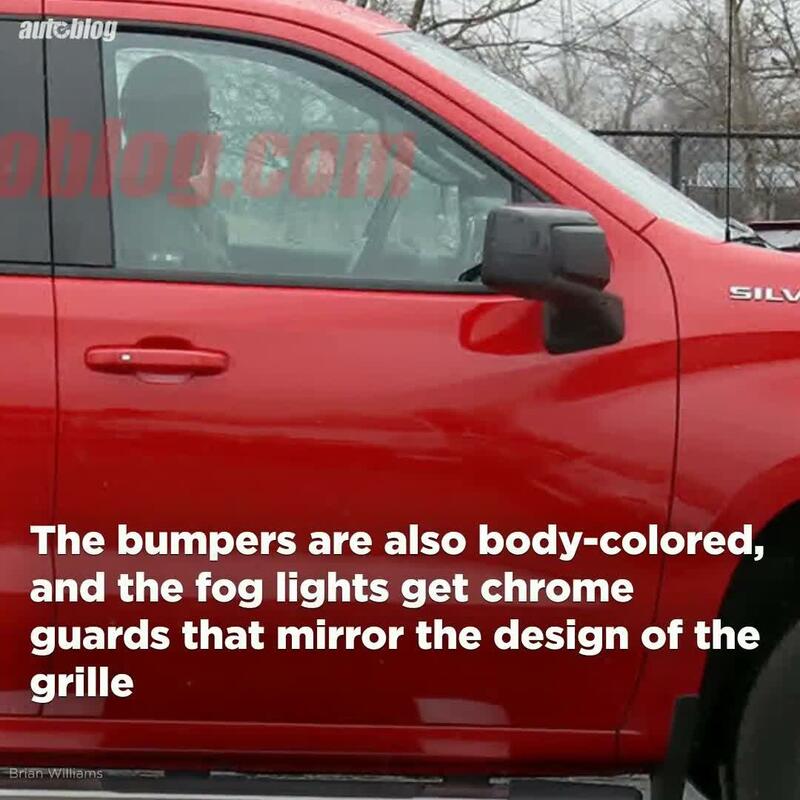 Chevy hasn't started building trucks yet, as the medium-duty Silverado is slated for production in "late 2018." 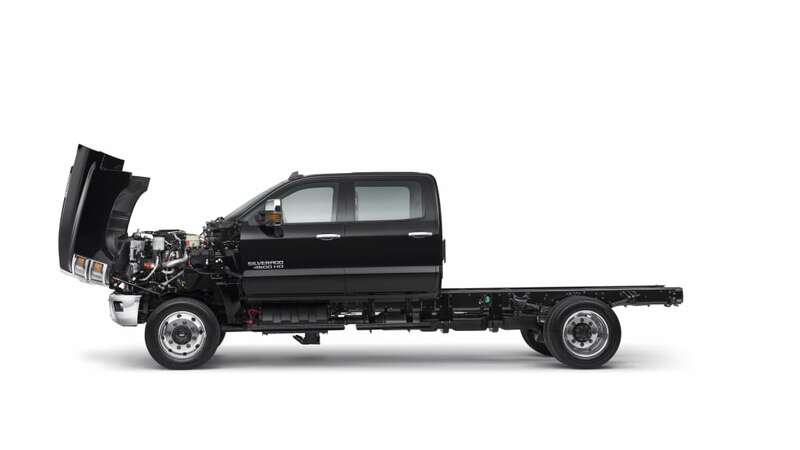 The chassis cab trucks are delivered with just straight frame rails behind the cab for fitting custom storage solutions. 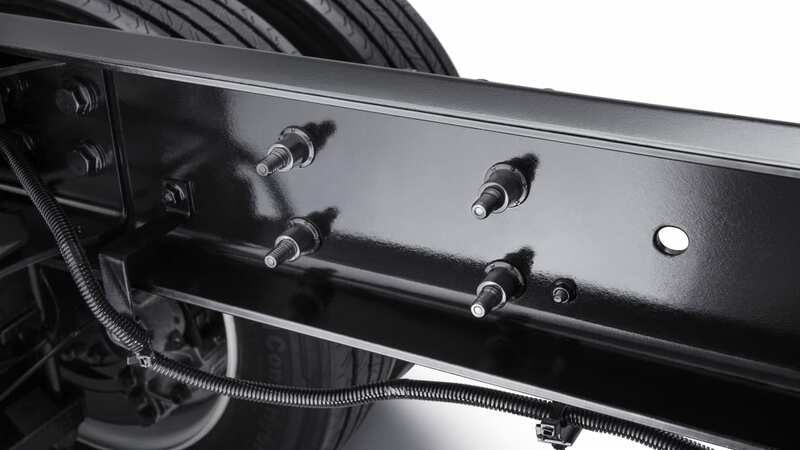 The company has touted the frame rails' lack of brackets or rivets that make it easier for custom outfitters to install anything the customer desires. 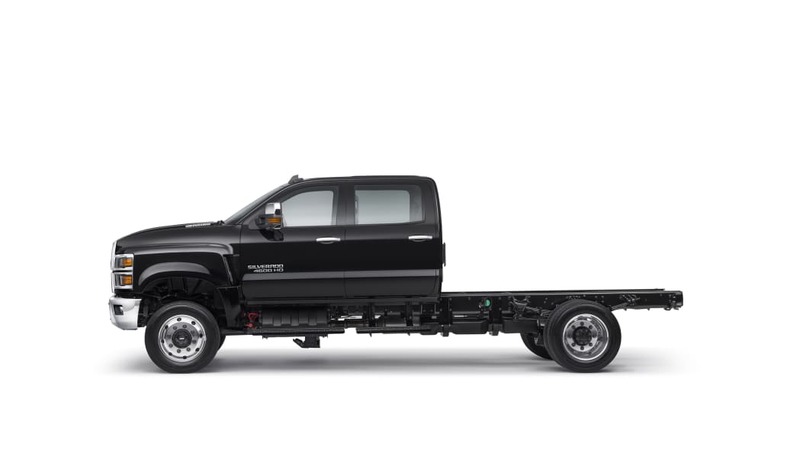 As for optional equipment, there's a twin-tank setup for up to 65 gallons of fuel, factory air suspension, and a connectivity setup which includes OnStar and 4G LTE Wi-Fi among others. 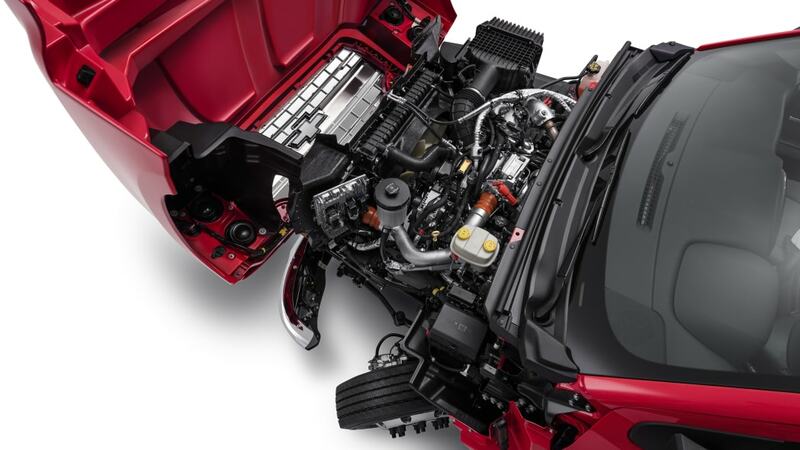 To make servicing easier, the clamshell hood opens wide. The models offered are 4500HD, 5500HD and 6500HD, with the biggest 6500HD option rated at 22,900 pounds GVWR and starting from $54,575; the 5500HD can be had for $51,100. The most expensive variant is the 6500HD 4WD at $61,245. 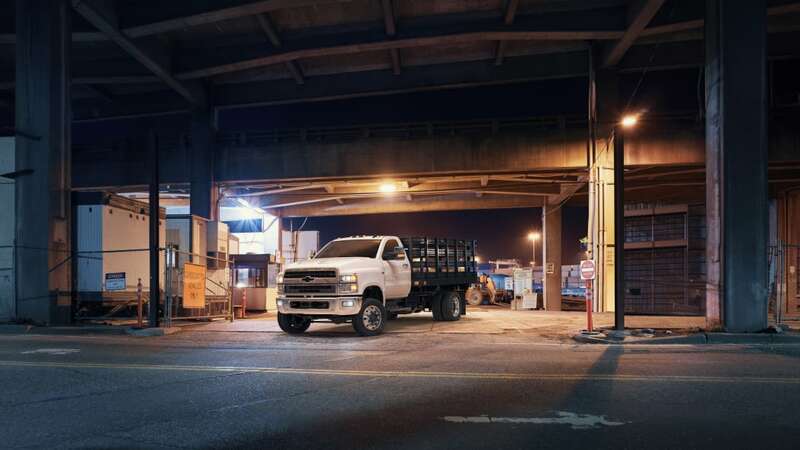 Regardless of price and weight rating, every medium-duty Silverado comes with the Duramax 6.6-liter diesel that makes 350 horsepower and 700 lb-ft of torque. That engine is coupled to an Allison automatic transmission, and there's a choice of 2WD and 4WD.